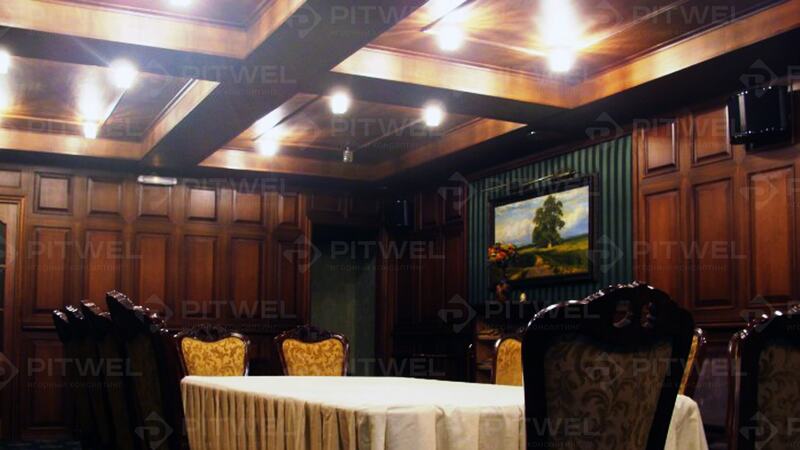 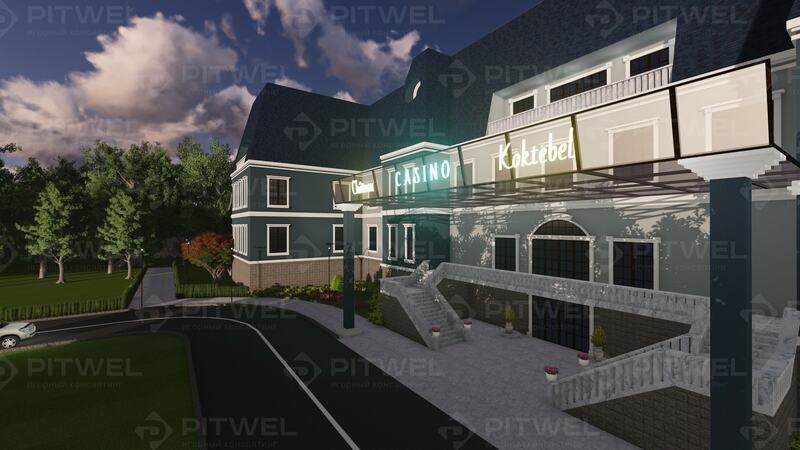 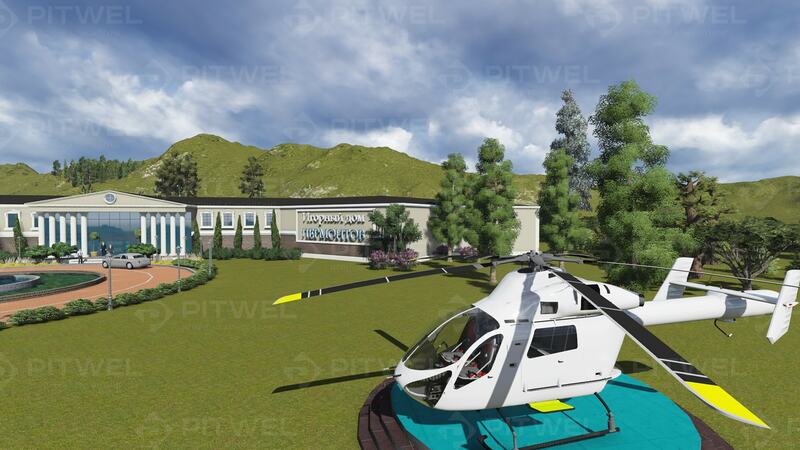 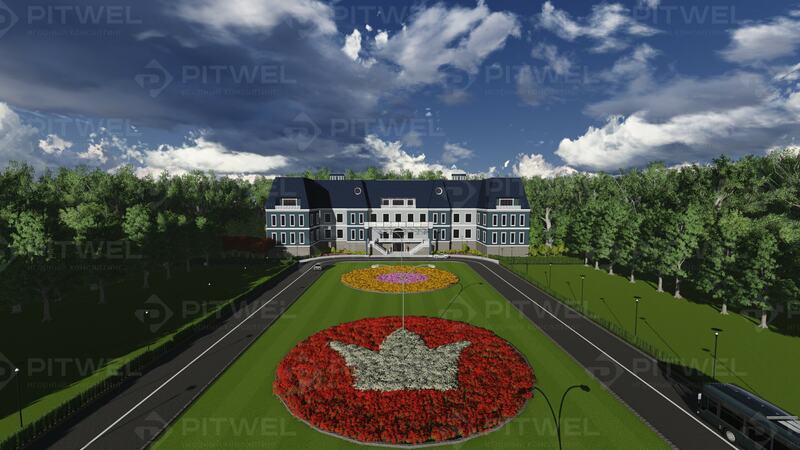 Company PITWEL develops project of gambling house «Lermontov» with location in gaming zone «Sibirskaya Moneta» in Altai region. 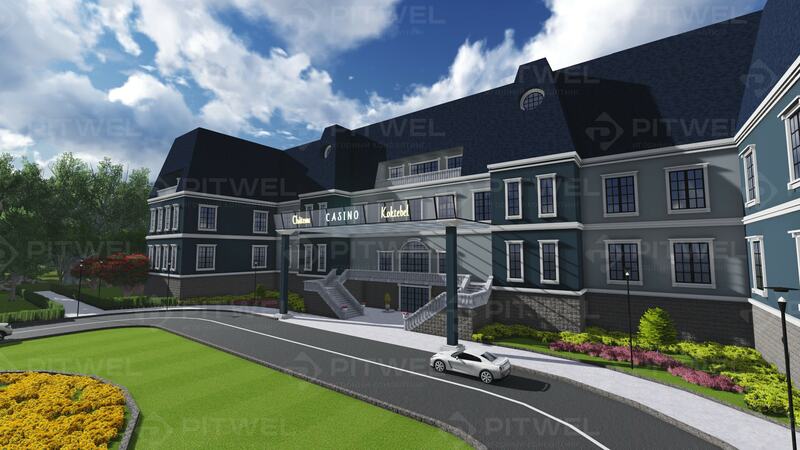 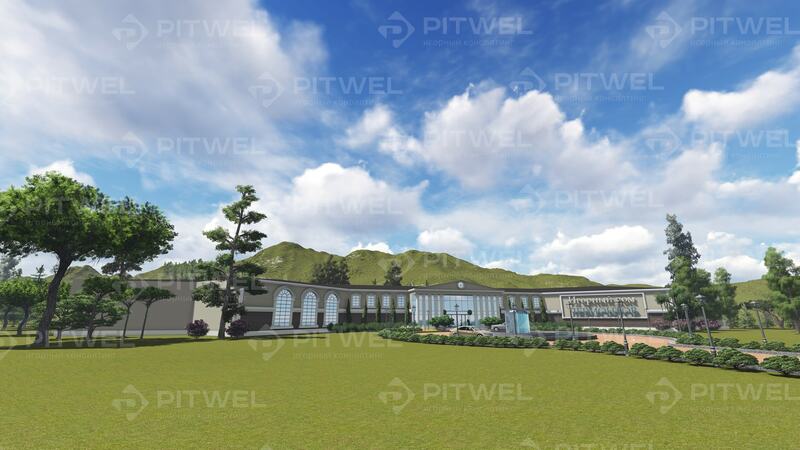 In quickly erecting building with an area of almost 5 thousand square meters, locating on the territory of 4 hectares, we plan: casino with 26 gaming tables and 100 slot machines. 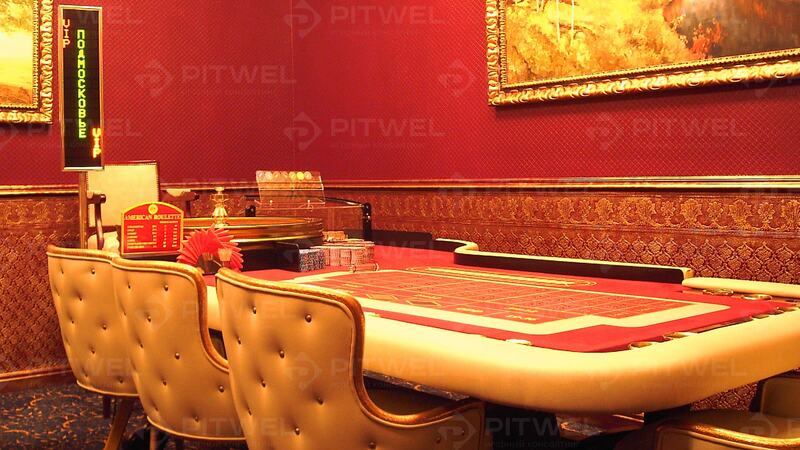 Gaming zone includes main pit, expensive pit, 3 VIP gaming halls and sport poker hall «IQ Club». 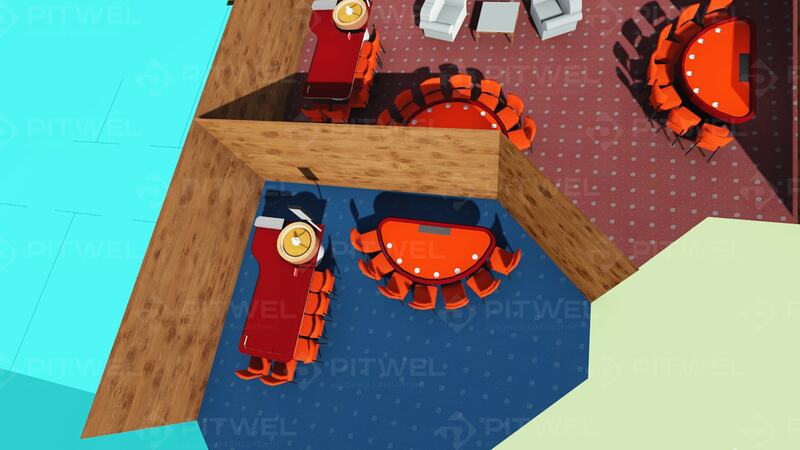 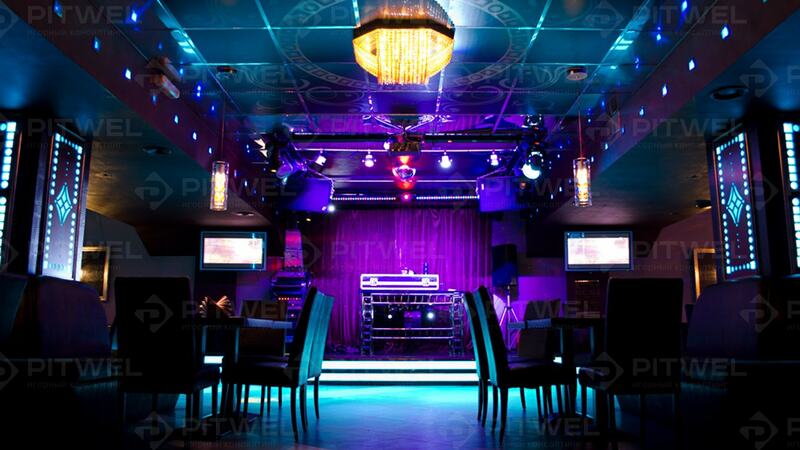 Entertainment part includes meeting room, stage, restaurant area, bar, sitting area. 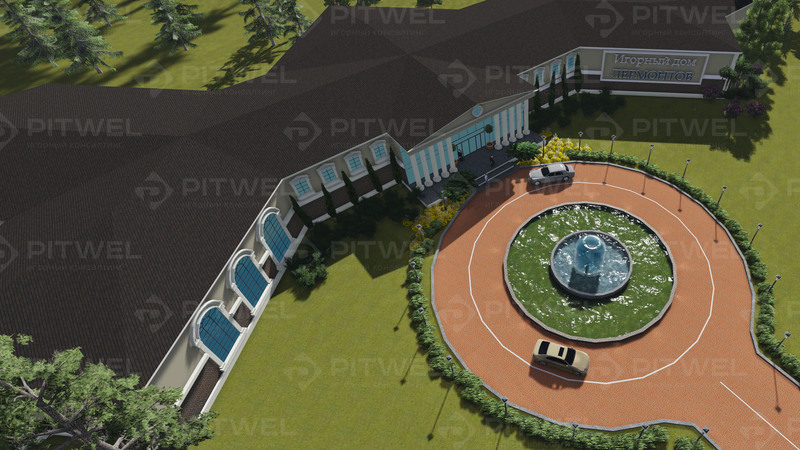 Hotel complex consists of 50 rooms, including superior rooms and presidential suite. 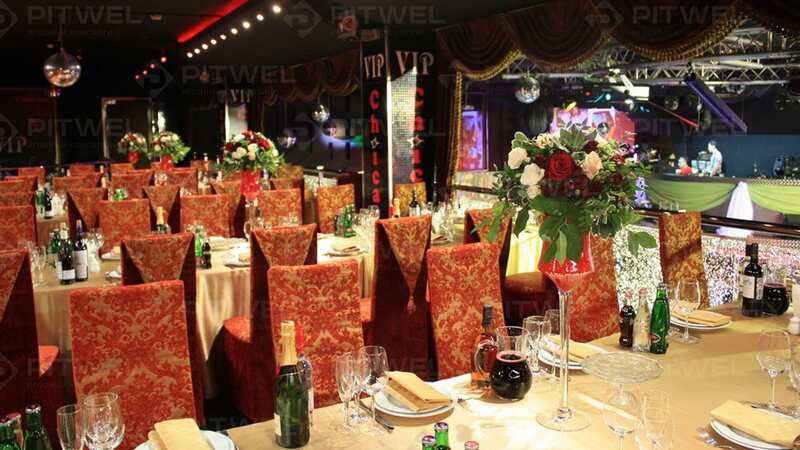 Restaurant complex includes production facilities of a full cycle, the main banquet hall for 300-350 people with a stage and possibility of holding concerts, 2 premium halls for 25-30 people and bar with stand. 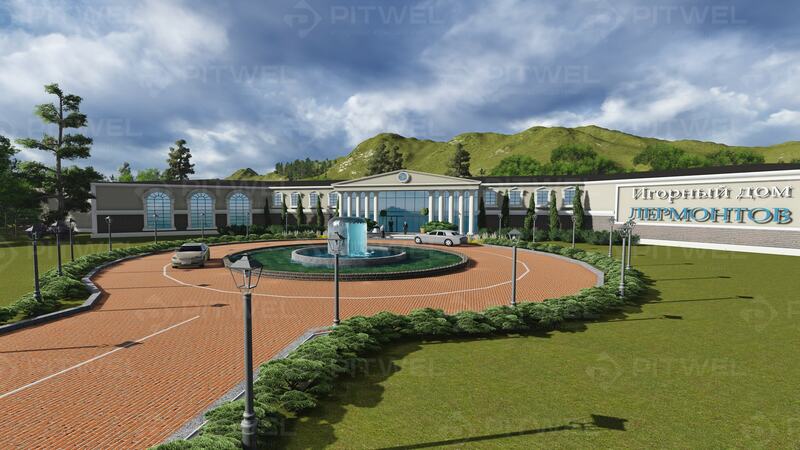 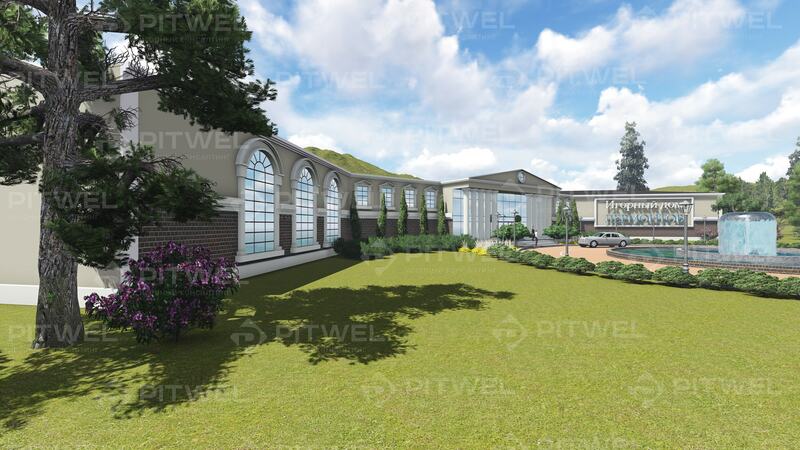 Spa-complex includes beauty salon, sauna, hamam, swimming pool. 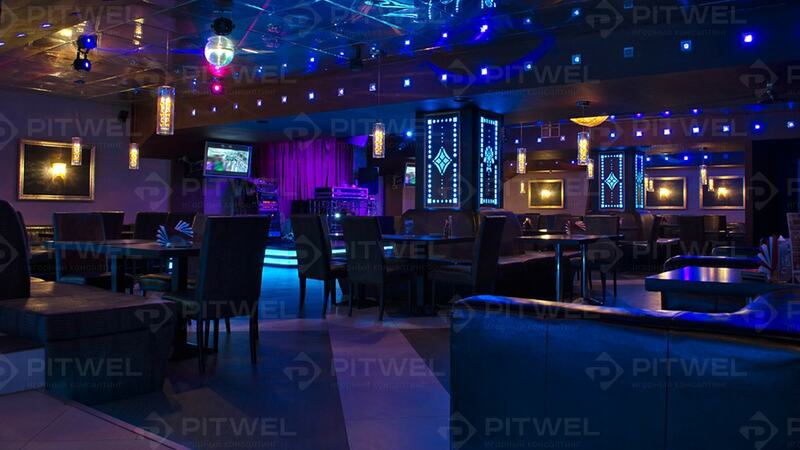 There are also recreational spaces. 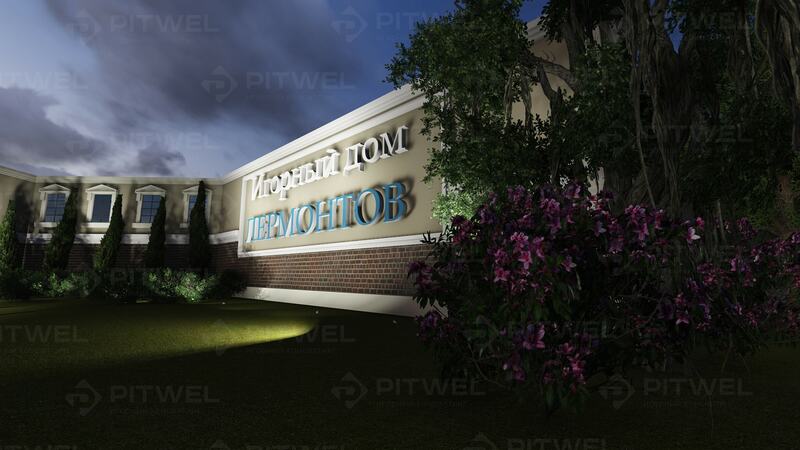 On the territory of the gambling house «Lermontov» the heliport, 2 service parkings, guest parking, hotel staff and warehouse storage are provided. 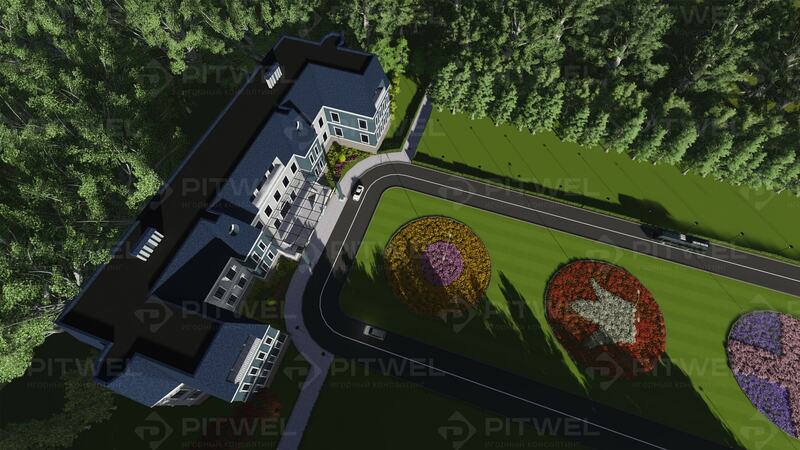 There is a mini garden for guests. 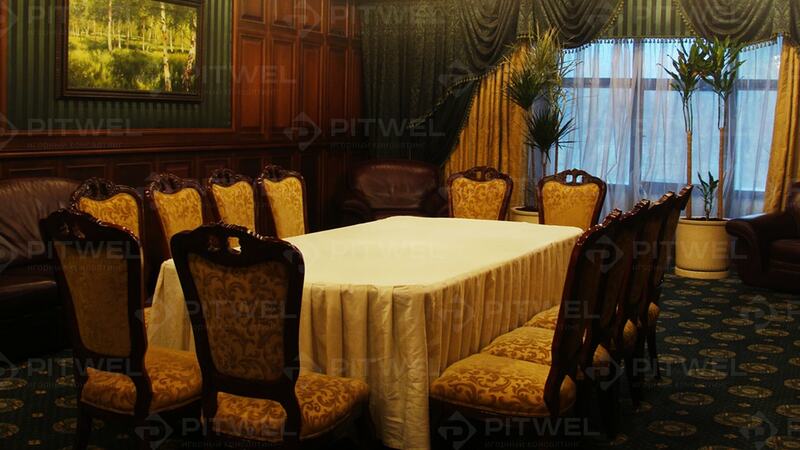 Successfully implemented project of premium-class in Moscow vicinity. 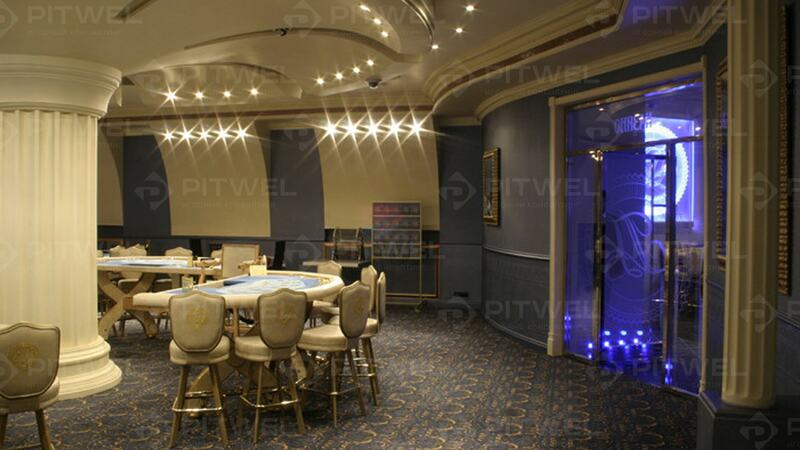 Support of casino began on final stage of finishing works at the entertainment complex which in addition to casino with VIP-hall and club of the intellectual games had restaurants of European and Asian cuisine, as well as night club with private hall. 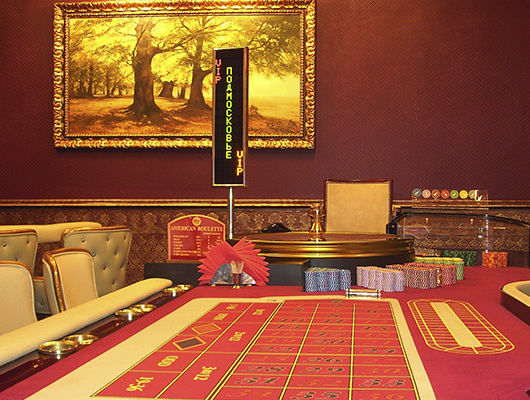 For casino “Podmoskovie” it was performed a school of croupier and re-assessment of staff from the other game establishment to be closed. 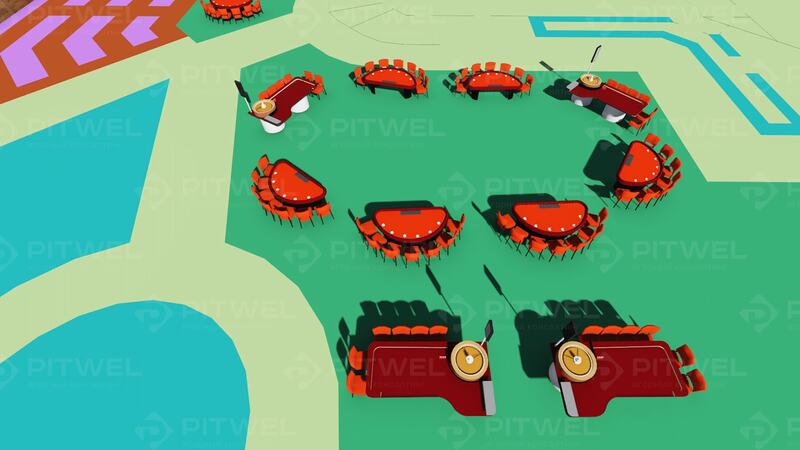 For the pit after careful selection longtime experts were invited. 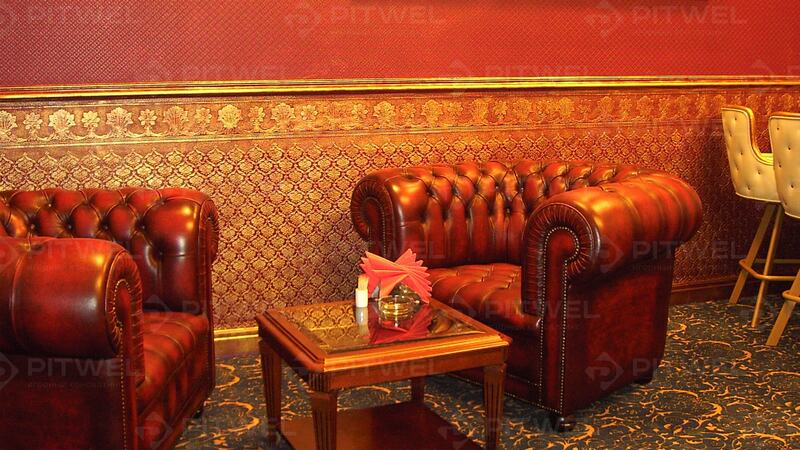 Carefully calibrated strategy allowed to management quickly attract in short terms desired clientele, demanding the compliance with standards of service. 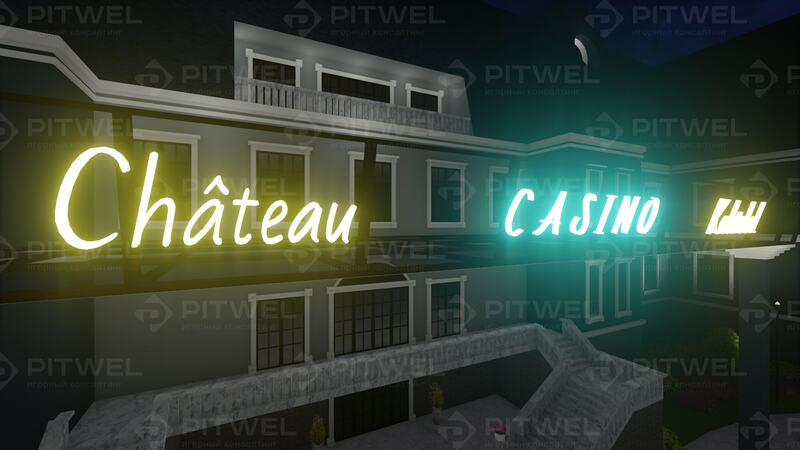 In the casino was created the bohemian atmosphere of the gambling house of the Victorian England epoch and were held large draws and lotteries including the stars and world stars. 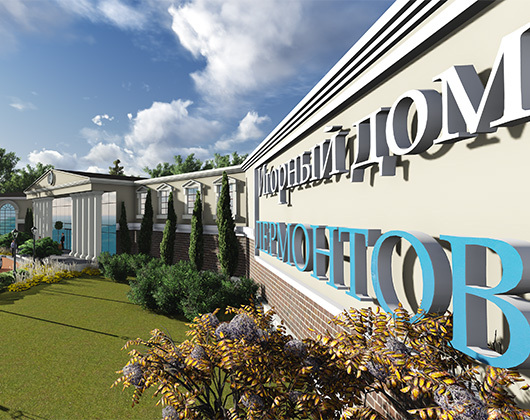 “Podmoskovie” – is prime example for attaching in market of brand with high level of reputation and confidence. 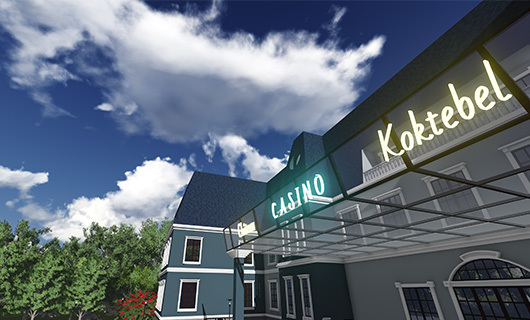 Visualization of the private gambling club “Château Koktebel”. 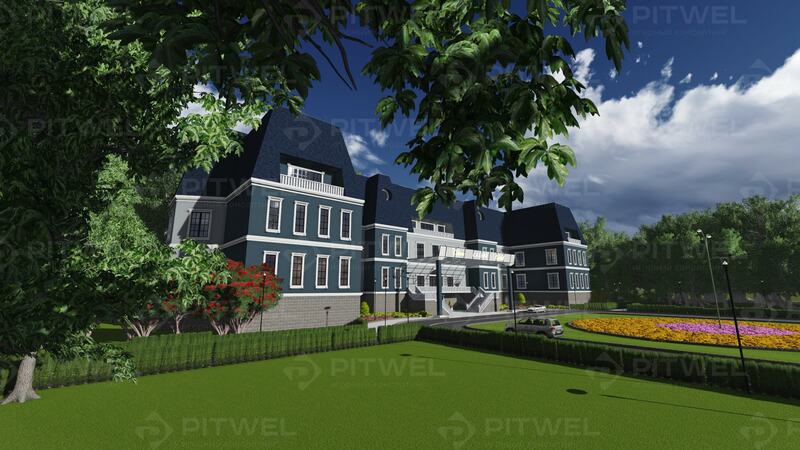 On request of customer the external appearance of the building, small architecture forms as well as palette used in landscape design must carry future visitors of establishment in the relaxed atmosphere of French estate. 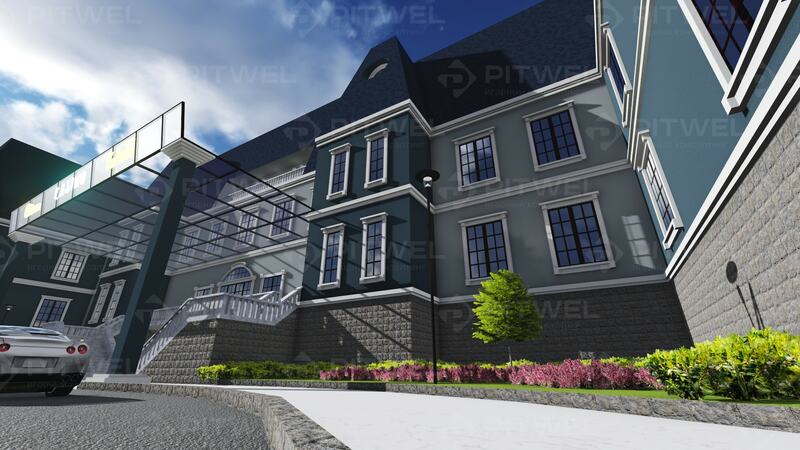 All forms and lines are distinct adjusted. 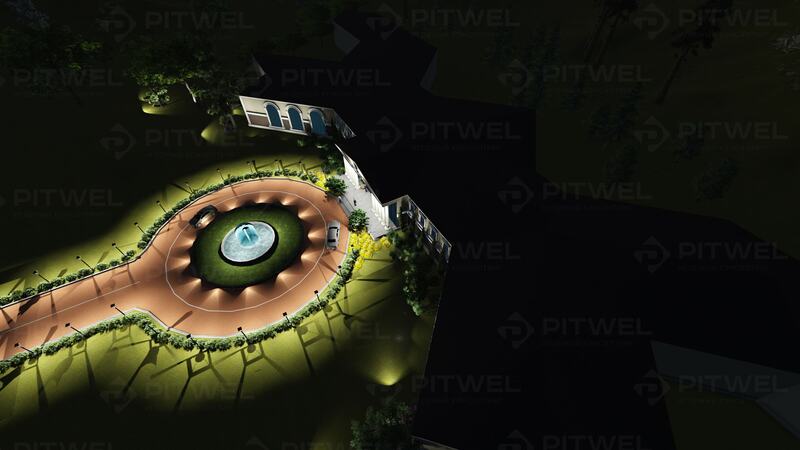 The main task – is not to deviate from the classical canons but in addition thanks to the abundance of light transmitting structures achieves a sense of modernity and forward movement. 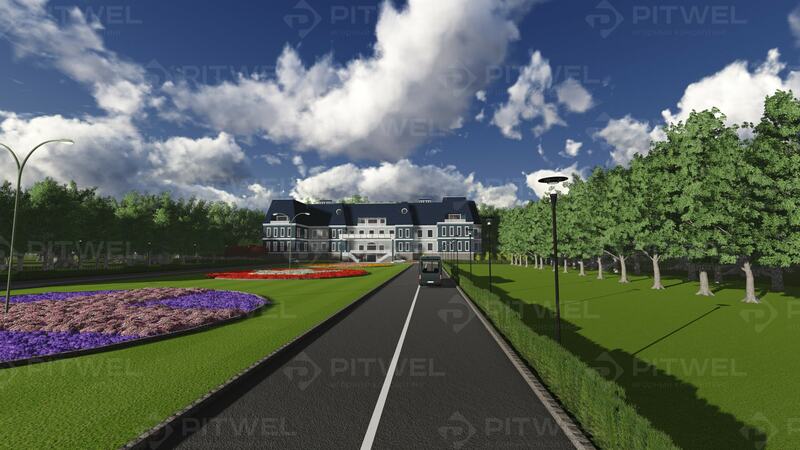 “Château Koktebel” – is an example of style and elegance; attract attention at one. 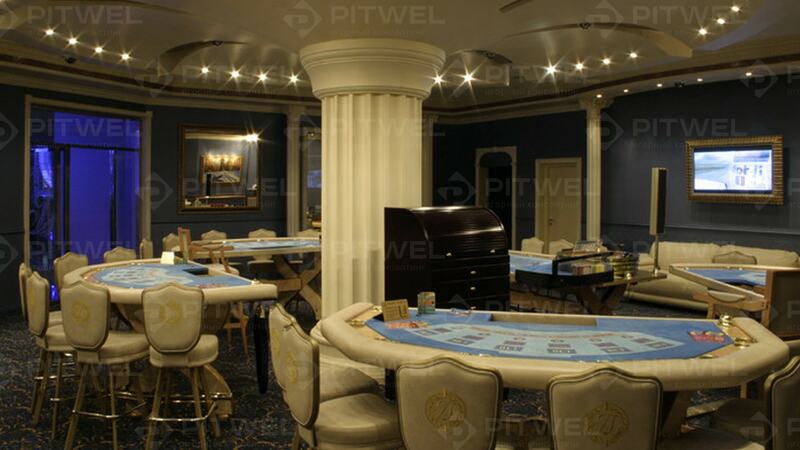 Inside will waiting for guests several rooms with tables for roulette, poker, blackjack, baccarat and the whole floor for quiet, hidden from foreign eyes game as well as hotel of high quality. 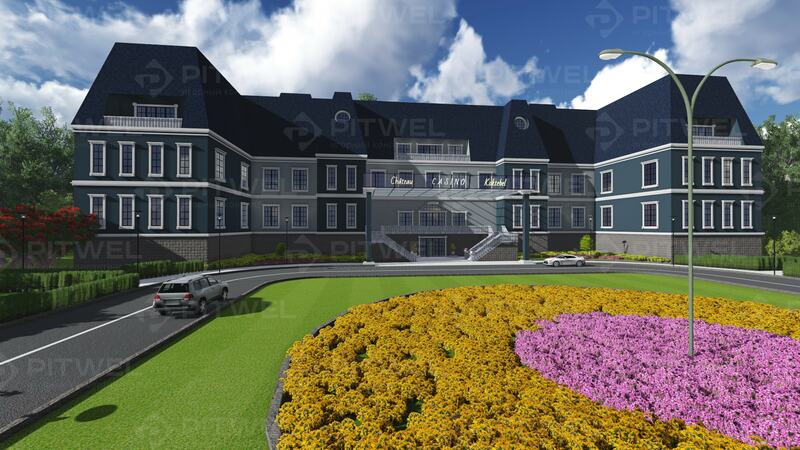 This castle of excitement leaves nobody indifferent.